This Christmas is going to be quite different from other years - because I'm currently unemployed, I don't have much money to spend on buying gifts for Christmas this year, so instead I'll be working to make as many gifts as possible. Last week there was a massive sale at Michaels craft store, so my mother and I got up early to hit up the store and pick up as many craft supplies as we could! 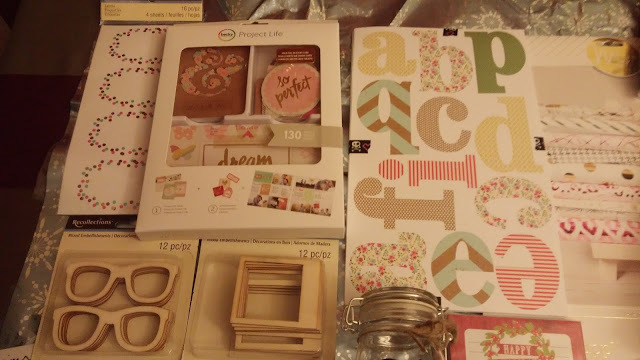 Just for fun, I thought I'd show you guys pictures of everything I picked up to make various gifts, and to use for future snail mail projects as well! 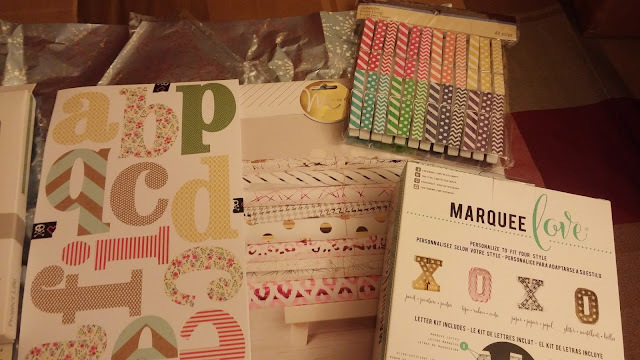 I couldn't resist picking up some packages of Christmas and winter-themed confetti so that I can glitter bomb some people this holiday season >:) I found some holiday cards, the holiday note pad, and some baking toppers in the clearance section as well, along with the banner-shaped wooden stamps that'll be great for any occasion. Also the gold stickers will be really great to using in my Heidi Swapp Memory Planner. 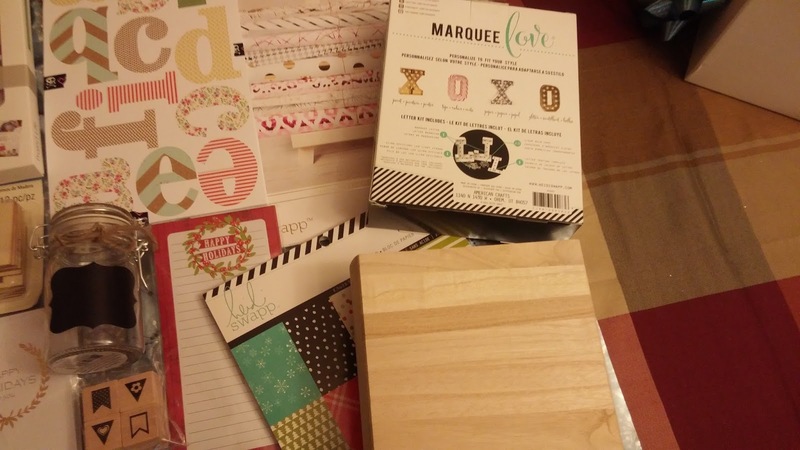 The scrabble tiles are really cool wooden embellishments that I picked up for 60% off, including . . .
. . . the glasses and polaroid-shaped wooden embellishments at the bottom of this picture :) These will be fun to paint and decorate. I might even glue them to a box to make something multi-textured and awesome! 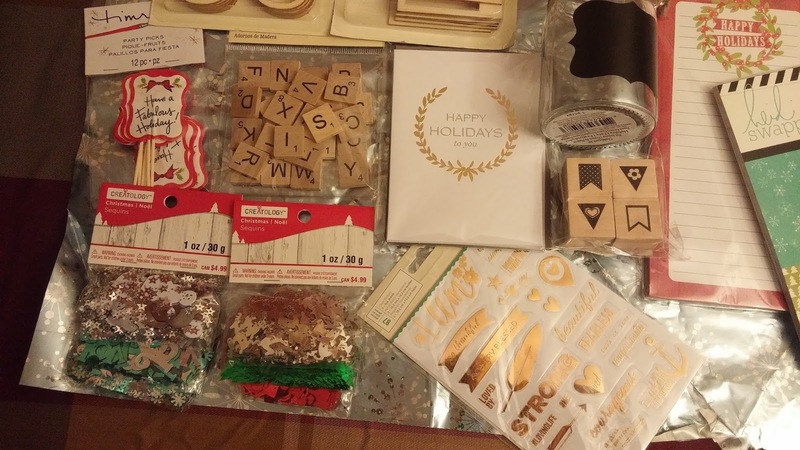 I spotted those super cute labels which I'll be using for various letters and packages I'll be sending out. And my favorite thing that I picked up is the Project Life pack, which I plan on using both for my own journaling as well as some cool snail mail that I want to send out! Quite the haul, eh? 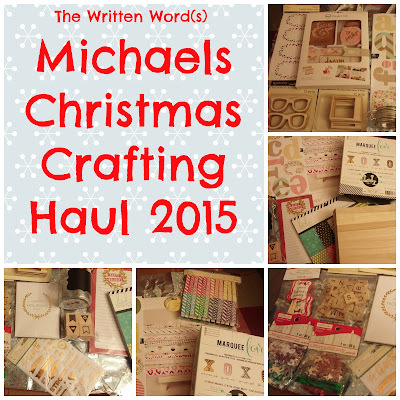 I'm curious to know what kinds of Christmas crafts that you guys like to make! Let me know in the comments below, and if you have any cool links to crafting tutorials, even better! 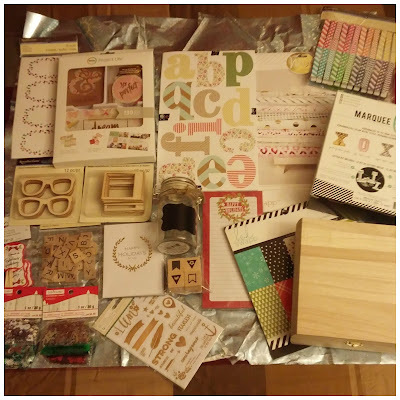 Feel free to check out my Pinterest page to some of my favorite crafting and snail mail pins. Great haul! I especially love those little flag stamps. I'm such a sucker for rubber stamps.